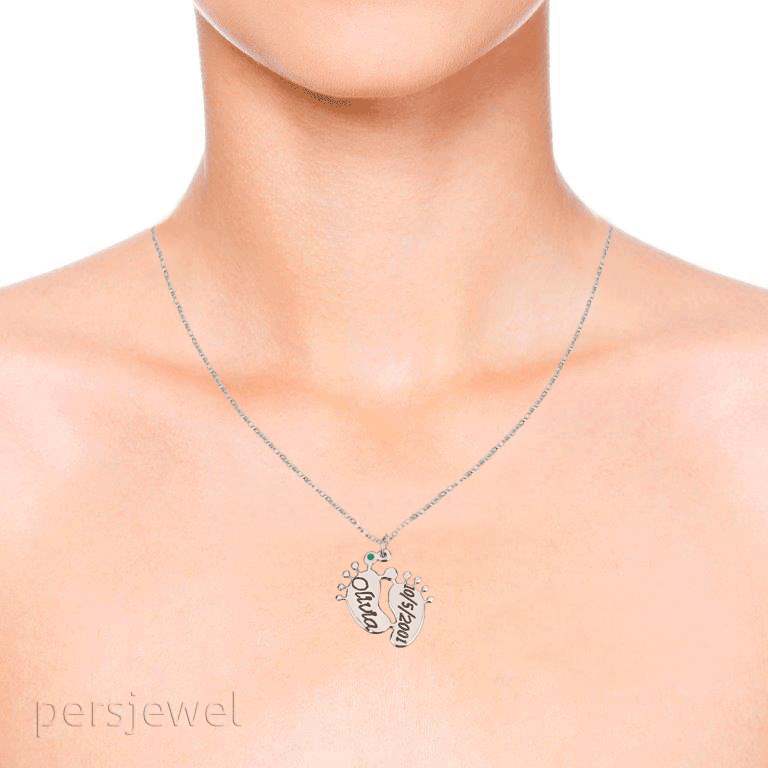 This custom necklace comes with a pendant which is formed into the shape of baby's little feet specially designed to show your love towards your little angel. 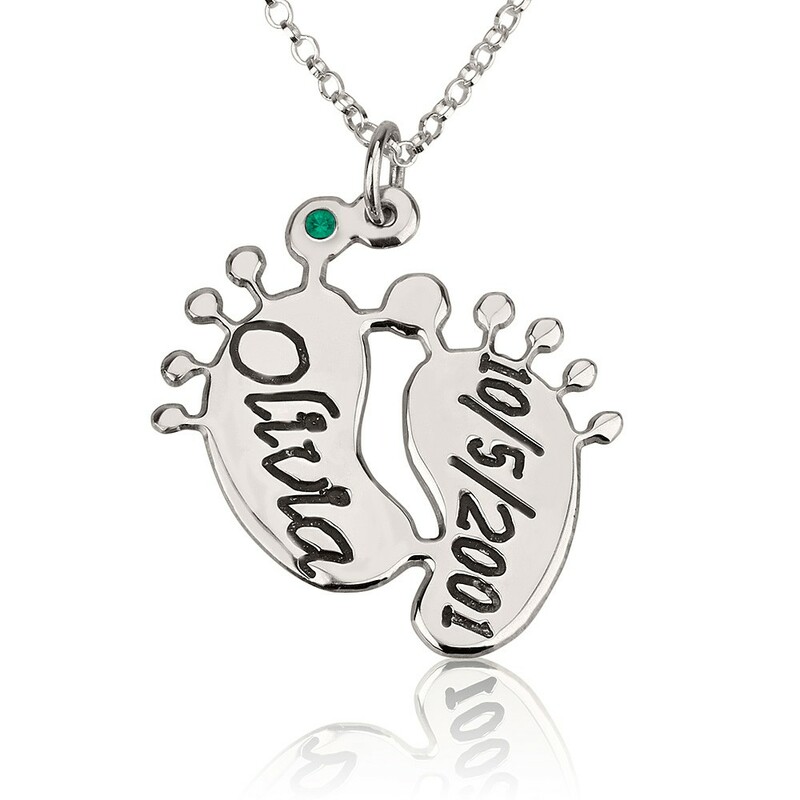 The baby feet pendant for this name necklace is fashionably made to carry the name, birth date plus the corresponding birthstone of your baby into a custom jewelry that matches every outfit. 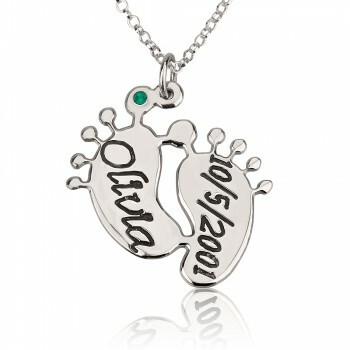 Made from 925 Sterling Silver, this personalized name necklace shows a pair of baby feet specially engraved with the name and date of birth of mom's little prince or princess. This necklace is a beautiful mother's day gift, or for any occasion to celebrate your love for your mother. 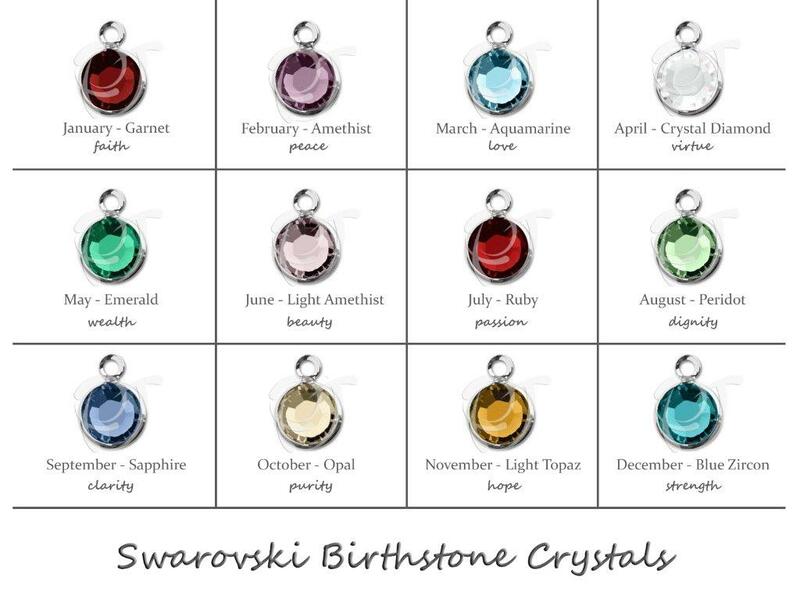 The addition of the baby's birthstone to the name necklace adds a more personalized feel to this beautiful fashion jewelry. The necklace comes with a Sterling Silver chain in any of the following lengths - 14”, 16”, 18”, 20" or 22" - depending on your preference. The default size is 14”. Click here to choose the Personalized chain lengths that suit you best.